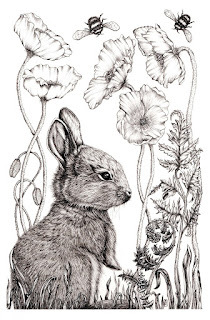 Michelle Hotchkiss Art: New Video Tutorial! PEN STROKES! Part Four of "How to Draw Stylized Flowers"
New Video Tutorial! PEN STROKES! Part Four of "How to Draw Stylized Flowers"
We have been having a LOT of windy weather. I sure would like it to just be a gentle breeze to just stop. I live between two glaciers and we are surrounded by mountains and those winds are COLD. Plus, they stir up glacier dust, which is super fine dust made by glaciers grinding rocks to dust as the ice flows and recedes. It coats everything and isn't good for the lungs. My super husband is sick today, a very unusual event. He has spent the day on the couch, poor guy. I am praying and am sure he will be fine soon. Now, on to the video! 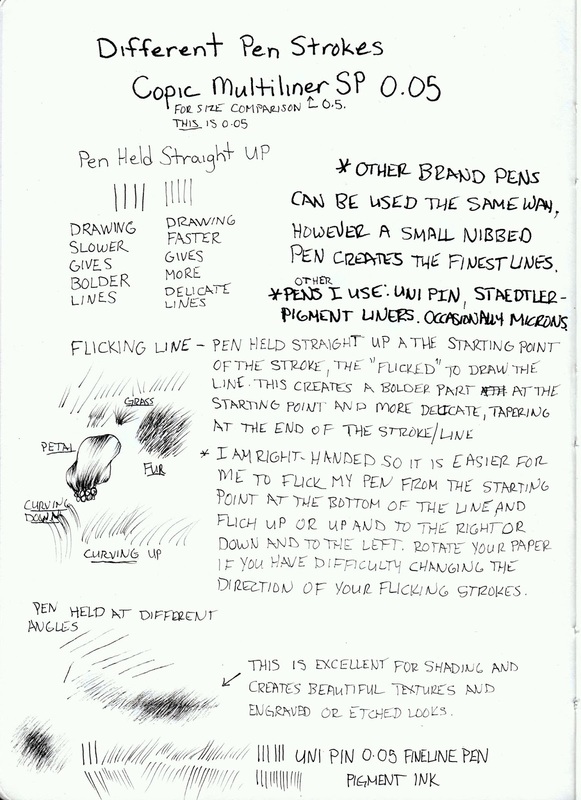 I have made a short video that shows the different pen strokes that I use in many of my pen and ink drawings. I really encourage you to get to know your supplies and learn everything they can do. I have personalized this one a bit. You will soon see that I am a pen nerd..and maybe a little dorky..or a lot dorky...and I'm OK with that. Many people are afraid of pens because they aren't erasable and if a mistake is made, everything is ruined, right? 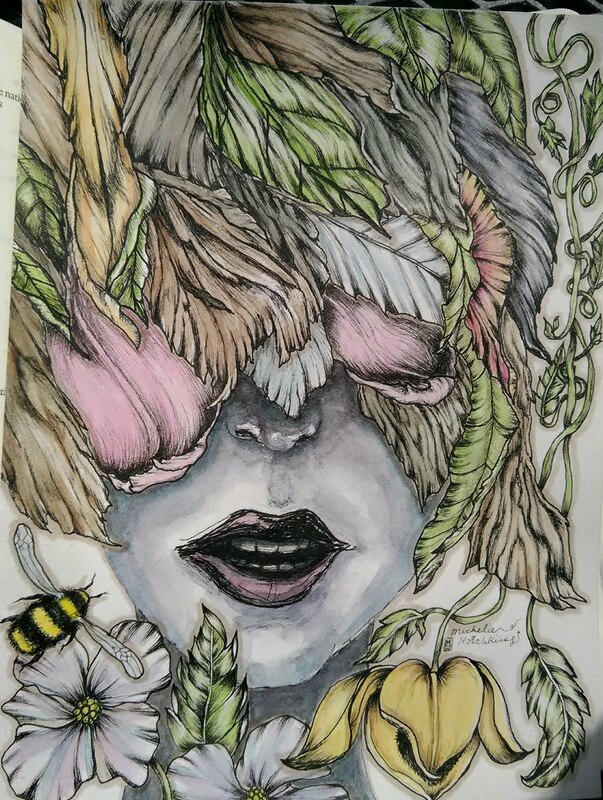 Once you learn different techniques for using pens, you can start off light and increase the darks as needed. Starting off light gives lots of chances to camouflage or incorporate mistakes so they don't show and may even turn into "happy mistakes" as the late oil paint artist Bob Ross used to say. 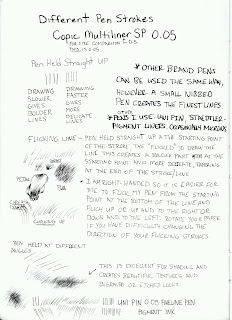 I have scanned off this pen stroke reference and hope you find it helpful. Click on the photo to enlarge it. I will be making more videos saved on the Psalm illustration, which I continue to add on to. I will be showing how to do flowering vines and ribbons. I have been asked to show how to draw the squirrel but that is a bit advanced so these current videos are good practice to lead up to the squirrel or maybe a bunny. I am continuing to learn how to make better videos and am looking forward to getting a solid set up soon. I pray blessings on you all! 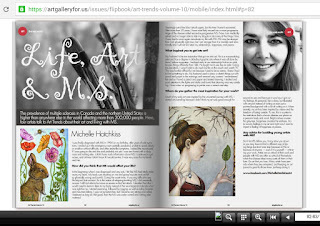 I am honored to be a featured artist in Art Trends Magazine, Volume 10. Click photo to check it out. 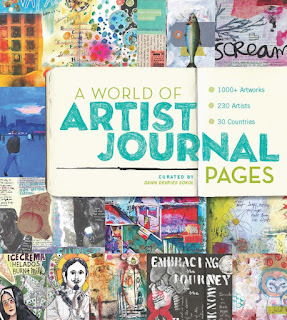 I am honor to be one of the artists in this book curated by Dawn DeVries Sokol. Click photo for more info. Wilberforce the Rabbit is drawn in S&B 9 x 12 Beta multimedia sketch book. Stillman &Birn are the makers of premium artist sketchbooks and art papers suitable for many mediums. Click the link to read about Wilberforce the Rabbit on their blog. 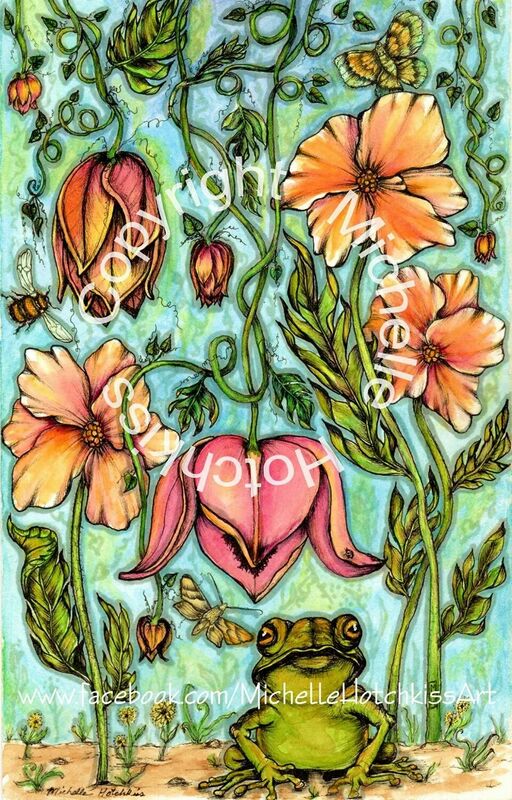 Click photo to see more art and send emails featuring the art, to help promote MS research and awareness. NEW, REVISED AND SHORTER PRAYER JOURNAL VIDEO AND FREE JOURNAL/BINDER INSERT PRINTABLES! His-Kingdom-Come Featured Artist: I AM A CHILD OF GOD. Videos and Printable.